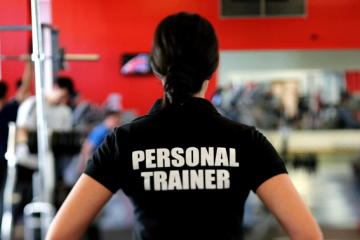 Finding a personal trainer Reno isn’t really that hard as most quality gyms tend to have one or more on staff. But, if you want the best personal trainer, you need to start out with a good idea of what you should be looking for. Here are five hot tips to help you find the right trainer to meet your specific needs and to help you reach your personal fitness goals. This is a must, you should never work with any kind of personal trainer in Reno who cannot provide you with proof of their expertise. This should be in the form of a fitness certification in their particular field of expertise. In order for a trainer to become certified, they must pass an exam sponsored by an accredited organization. This includes the National Strength and Conditioning Association (NSCA), the American Council on Exercise (ACE), or the National Academy of Sports Medicine (NASM). When it comes to physical fitness training, there is no substitute for experience. Choose a trainer who has had time to develop their own techniques. This type of personal trainer Reno will help you get the most out of every routine you do. Of course, the best possible compliment any personal trainer in Reno can get is a personal recommendation from one of his clients. Any top-quality trainer will be only too happy to provide you with his success stories, references, and of course testimonials from current and past clients. The more you know about a trainer, the easier it will be for you to find the right one for your needs. One of the most important aspects of any physical fitness regimen is consistency. This is especially true when you are working with a personal trainer. You need to know that your trainer is going to be available when you are. Ask questions such as- how many clients they have currently? Do they have availability to ensure you can keep the same appointment every week? Or will your appointments float around? You need to know that your trainer will be available when you are. Be sure to keep your daily routine in mind when looking for a personal trainer in Reno. If you are willing to drive halfway across town, are you willing to do so every time you want to work out? Finally, do you prefer to work out in a traditional gym environment or would you be better off in a private studio setting? While it might seem a bit overwhelming when it comes to choosing a personal trainer Reno, it is vital that any trainer you choose meets these criteria. Also, choose a trainer who matches your personality and that you can get along with during your training sessions. Flex Appeal is South Reno’s newest 24 hour fitness center. We offer a clean facility, the best equipment and professional staff. Learn more about personal trainers by visiting our website today, or get a free trial.